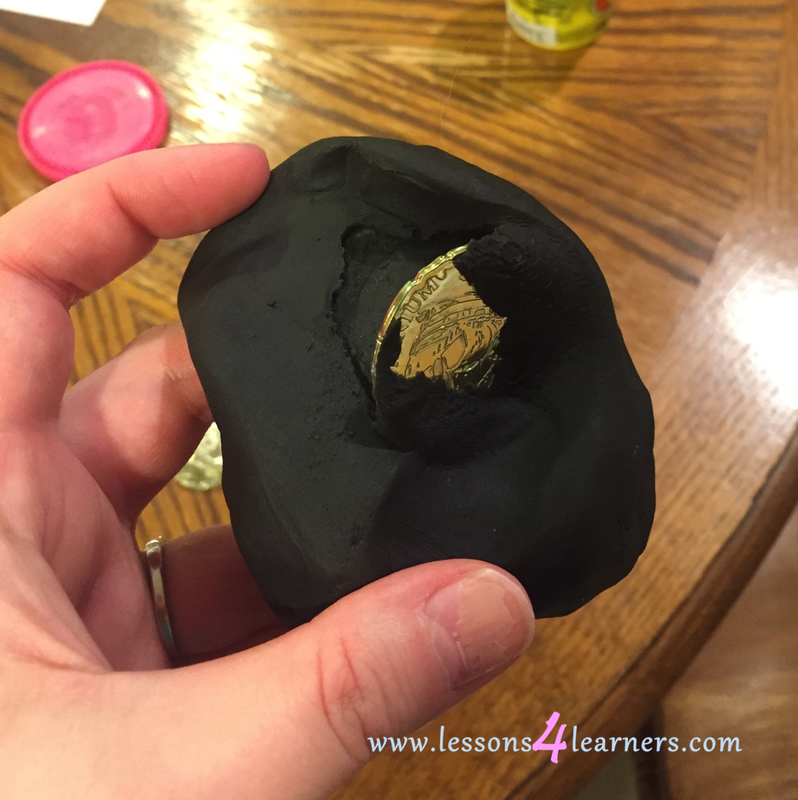 Children will discover hidden items in playdough while exercising their small motor skills. Activities and materials encourage children of varying abilities to develop their small muscles. 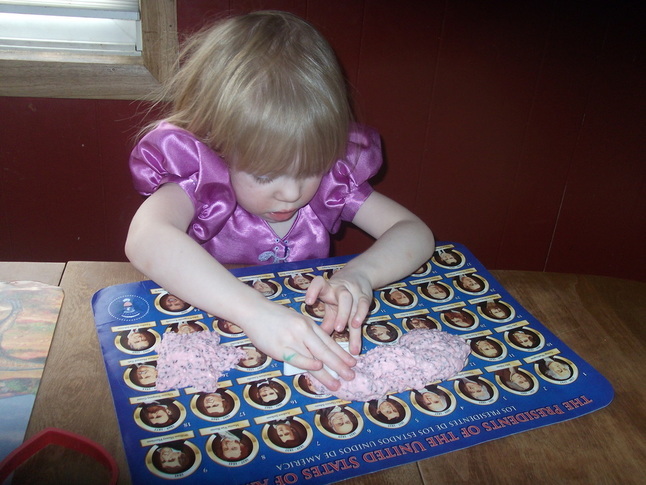 a) Individual fine motor skills are encouraged through a variety of developmentally appropriate materials and activities. Put several coins in a ball of playdough and encourage children to pinch and pull the playdough apart in order to find the coins hidden in the dough. 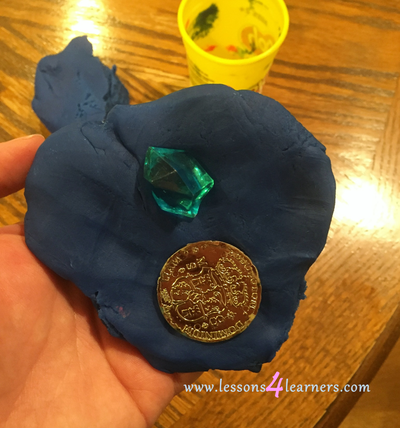 Observe and record children’s ability to use small muscle groups when finding the coins. 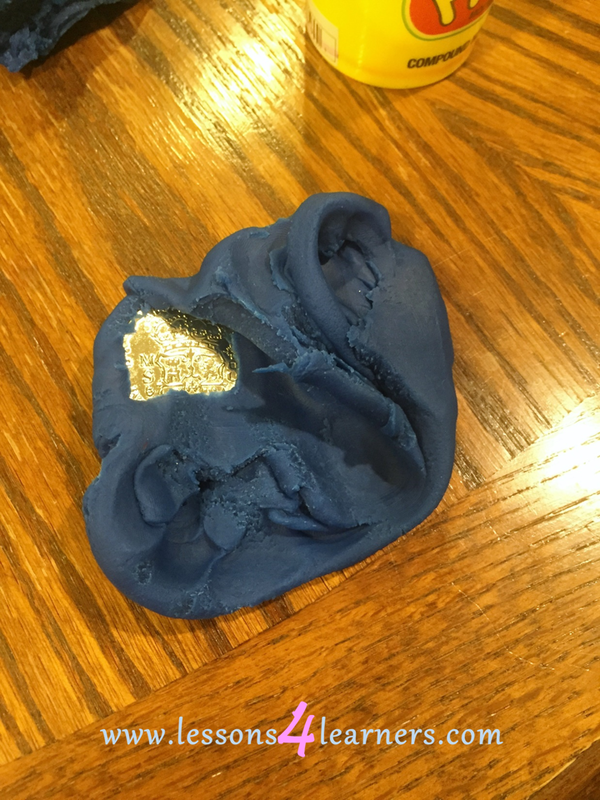 Toddlers and playdough go together like peanut butter and jelly! Playdough is a fantastic open-ended activity to keep them learning and exploring. The basic use of playdough is to provide a flat surface, playdough material, and tools such as cookies cutters, spreaders, plastic cutting tools and more. 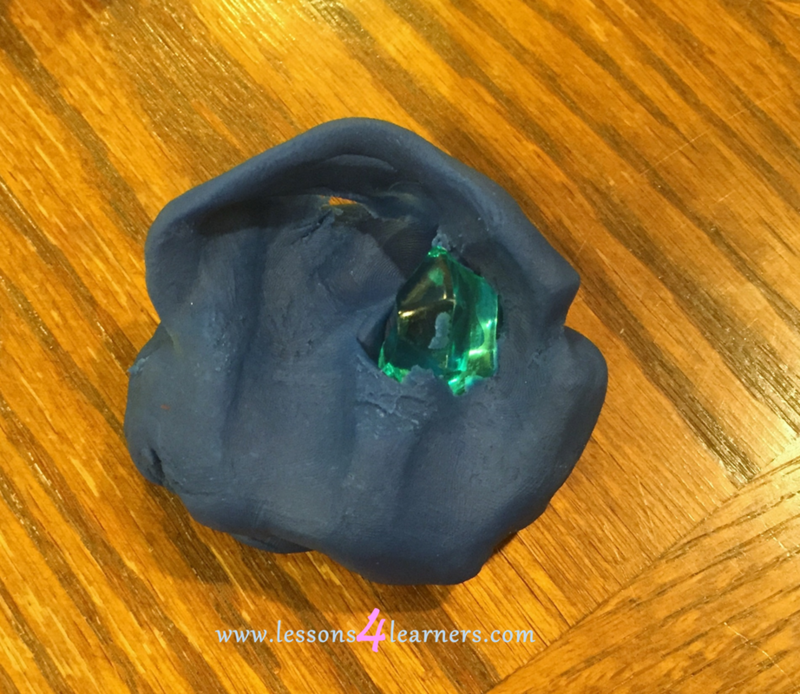 These are fantastic open-ended materials that allow children to explore and discover the texture and possibilities of playdough, but don't let that limit you! Toddlers are constantly learning about their surroundings including the people that are around them. 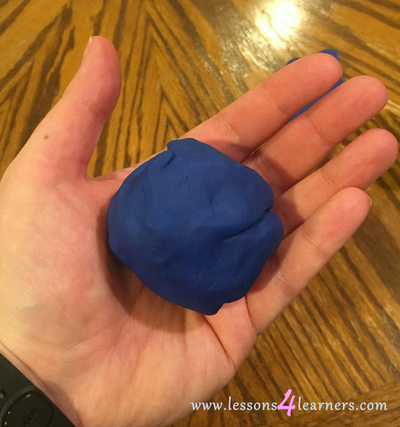 Their social experiences are adding to their knowledge of their world and playdough provides an opportunity to really capitalize on this. Toddlers can work together to share, interact and create with the material. 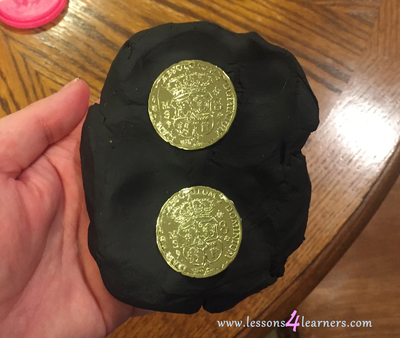 They may imitate their peers playdough play or recreate some of their favorite things. Building, squishing, and even mixing playdough colors are beneficial and important playdough activities. Toddler playdough play is usually a basic exploration of the materials, but it allows the children to learn quite extensively. Observations about the materials and the people they are playing with are learning experiences in themselves. When new materials are introduced it allows the children to scaffold their current knowledge to build new connections between concepts. Encourage this play and exploration to yield the best results for your group.